We are the Campas! 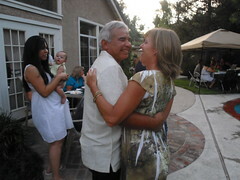 : More photos from Tim and Nancy's celebration!!! More photos from Tim and Nancy's celebration!!! I have posted more great photos up to the blog for you to enjoy! There were so many partygoers, so much going on, that I couldn't capture it all! Luckily, my mom and sister were there to snap these shots, so check them out! Tim and Nancy's 25th anniversary!